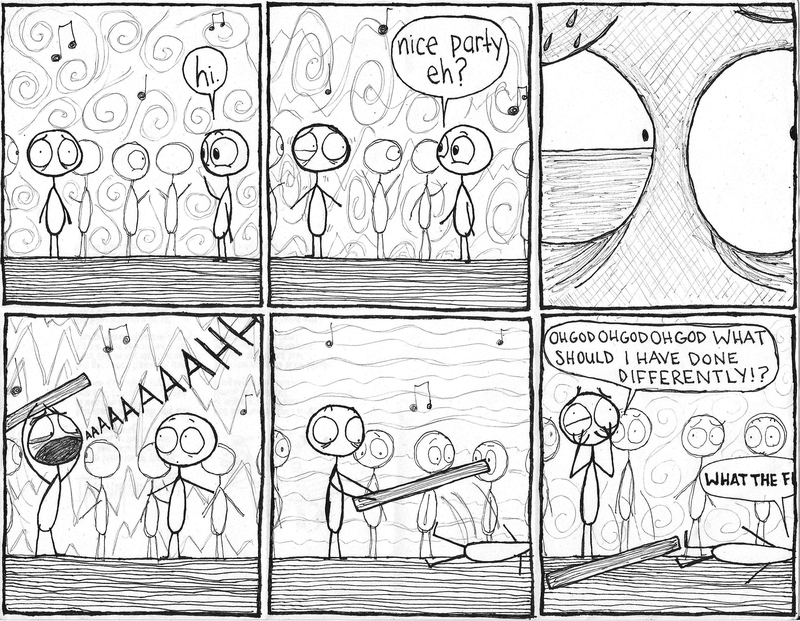 This comic was posted in comic and tagged crippling, social anxiety, socially awkward. Haha, this is amazing! I particularly like the expressions on the character\’s faces throughout. I\’m reading and I think to myself: \”Oh my God! They killed Kenny!\”… By the way: lol! Lmao, how ironically funny that I\’m sorry watching SP right now!